Belinda Fleming has always had a passion for healthy living and a heart for seeking adventure! She is bringing that passion to Costa Rica in the Fall of 2018. She will be co-leading a 7 day yoga retreat with an amazing tribe of experienced 500 hr RYTs and wants you to be a part of this amazing transformational journey. The yoga retreat will be focusing on the pure awareness of the union of mind, body and spirit. Our yoga tribe of teachers will offer multi-dimensional sequencing through vinyasas as well as asanas to strengthen and stretch the arms, legs and spine in all planes of motion which allows for a deeper and stronger physical practice which leads to a deeper inner personal practice. In addition we will also be incorporating pranayama techniques and meditation during your daily yoga practice. All classes will be suitable for all levels of students. Join us on this beautiful adventure! Travel with us to Nosara, Costa Rica and take a break from the demands of modern life to find out just what Pure Vida is all about as you seek to lean deeper into your personal yoga practice. Belinda has been teaching fitness classes for over 20 years and has completed several marathons & half marathons around the country. After logging many miles on the pavement and the trails, she came to the realization that yoga would withstand the test of time through every stage of life! She became passionate about her yoga practice in 2008 as a lifestyle and became a certified yoga teacher in 2014 at OnlYoga in Atlanta, Georgia. She will complete her 500 hour RYT training with Jessie Fletcher, Dorje Yoga in March 2018. 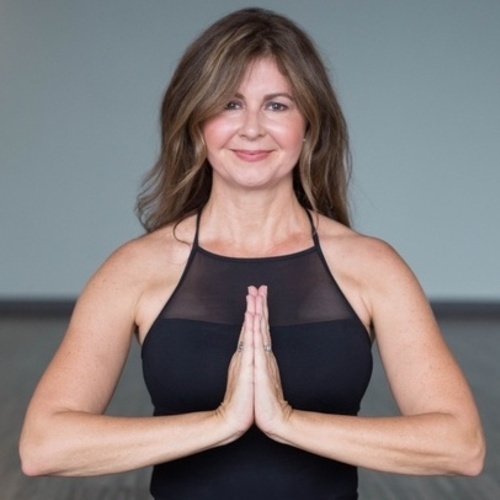 Belinda is certified with the Yoga Alliance and teaches yoga at Hot Yoga Kennesaw and Be Yoga in Marietta, Georgia. She is also a Registered Nurse and certified in Thai Yoga Massage & Bodywork by Michael Sitzer. Belinda is a devoted wife and mother of 5 beautiful children. "May your heart be kind, your mind be fierce and your spirit be brave".